assisting in the development of hydrographic sciences in developing countries. enabling Industry, Academia and others engaged in or interested in hydrography and related sciences to meet, correspond, and coordinate their efforts in the continuing development, promotion, and improvement of such sciences. tidal and tidal current studies. The Canadian Hydrographic Association is formally affiliated with the Canadian Institute of Geomatics. It is informally associated with The Hydrographic Society of America (THSOA). enable you to develop and maintain contacts with others involved with hydrography, nationally and internationally. These benefits are provided through the sponsorship of seminars, colloquiums, training programs, national conferences, Branch and National meetings. It also used to be provided through the publication of LIGHTHOUSE, which ceased in 2015. The CHA also provides a student award for eligible students, to assist with their studies. Membership is open to all hydrographers, those working in associated disciplines, and those interested in hydrography and marine cartography. 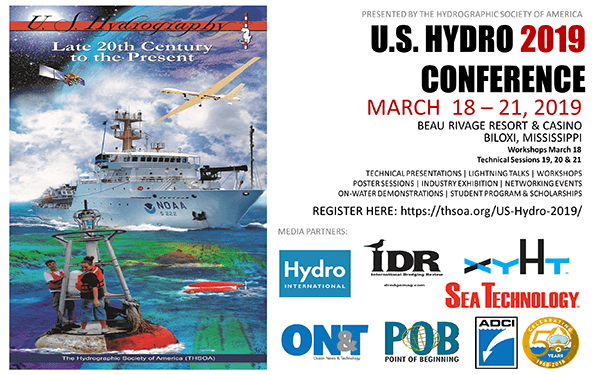 © 2019 Canadian Hydrographic Association. All Rights Reserved.